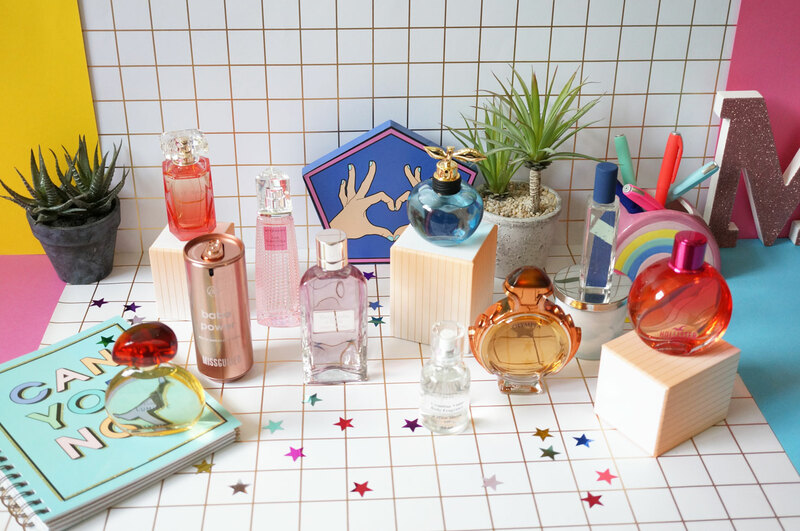 10 Spring Fragrances to add to your Collection: L’Occitane, Givenchy, Nina Ricci & More! It’s a beautiful bank holiday (apart from an intense rain and thunder, but that’s to be expected, right?) and I’ve been playing in the garden with Fred whilst eating ice pops 🙂 I thought I’d take a breather and share with you my top ten must have fragrances for Spring 2017 – enjoy! Starting with one of my absolute favourite fragrances of the last few months, L’Occitane Terre De Lumiere (£58.00 for 50ml at L’Occitane) – this is L’Occitane’s latest fragrance release, and the name literally means “land of light”. Terre De Lumiere is L’Occitane’s first ever gourmand aromatic fragrance, consisting primarily of edible notes such as honey and almond. It’s a beautifully light and evocative fragrance that’s both warm and enveloping. Terre De Lumiere is inspired by the special time of day in Provence known as the Golden Hour, which is a short moment at dusk as the sun falls and the sky fills with golden and purple light, leaving the air filled with the most fragrant Provençal scents. It truly is a stunning scent, and I really can’t get enough of it! Top Notes: Bergamot, Ambrette Seed and Pink Pepper. Base Notes: Acacia Flower, Bitter Almond Essence, Tonka Bean and White Musk. Next, the beautiful Givenchy Live Irresistible EDT – (£43.00 for 40ml at Feelunique) This is actually my first experience with Givenchy fragrances, and hopefully not my last! Live Irresistible is a bright, floral and fruity fragrance, that’s perfect for every day wear. It opens with sparkling top notes of Crisp Pear, fresh Green Apple and juicy Raspberry, leading to tantalising Rose and energising Pimento Berries at the heart, just before the fragrances closes with a sensual base of Light Woods. Moving on to something a little heavier now, Paco Rabanne Olympea Intense EDP (£46.00 for 30ml at Boots) This is a beautiful warm and sensual oriental fragrance, with a tempting salty-vanilla amber accord. The original Olympea fragrance is already a favourite of mine, so I just knew I’d love this more intense version. Olympea Intense is very similar to Olympea, but stronger, and definitely sweeter. This is a commanding and seductive fragrance that’s perfect for evening. Top notes: White Pepper, Orange Flower and Grapefruit Flower. Base notes: Cedarwood and White Amber. Next we have Nina Ricci Luna EDT (£34.50 for 30ml at Debenhams) – this is an oriental gourmand fragrance that’s described as mysterious, daring and alluring. Luna opens with fruity notes of refreshing Lime and Tangerine which lead to a floral heart of Immortelle and Jasmine, sparking a vibrant burst of floral citrus. The fragrance is rounded off with a warming base of sweet Caramel and Vanilla, with notes of alluring Liquorice and Musk. I’ve worn this a couple of times now and it’s fast becoming a new favourite. Top Notes: Wild Berries, Orange Blossom, Lime and Tangerine. Heart Note: Caramel, Immortelle, Jasmine and Pear. Base Notes: Sandalwood, Vanilla, Liquorice and Musk. Next, Elie Saab Le Parfum Resort Collection 2017 (£42.75 for 50ml at John Lewis) – I’m a big fan of Elie Saab fragrances so I was excited to try their latest scent – Resort Collection EDT is described as a luxurious white floral fruity fragrance, inspired by the glamorous world of the Cannes Film Festival. The fragrance opens with juicy Red Mandarin, leading to Orange Blossom, Jasmine and Pomegranate Nectar at the heart, and a rich base of smooth Patchouli. Heart Notes: Orange Blossom, Jasmine and Pomegranate Nectar. Garden Lilies is a wonderfully fresh floral that truly captures the essence of a new dawn – I know that sounds completely cheesy but it really does! The fragrance opens with Water Lily, an aquatic floral with a wonderful dewy softness, and the floral heart of Green Sap and Ylang Ylang leads to a base of powdery and clean White Musk, with a hint of Vanilla. Heart Note: Green Sap and Ylang Ylang. Base Notes: White Musk and Vanilla. 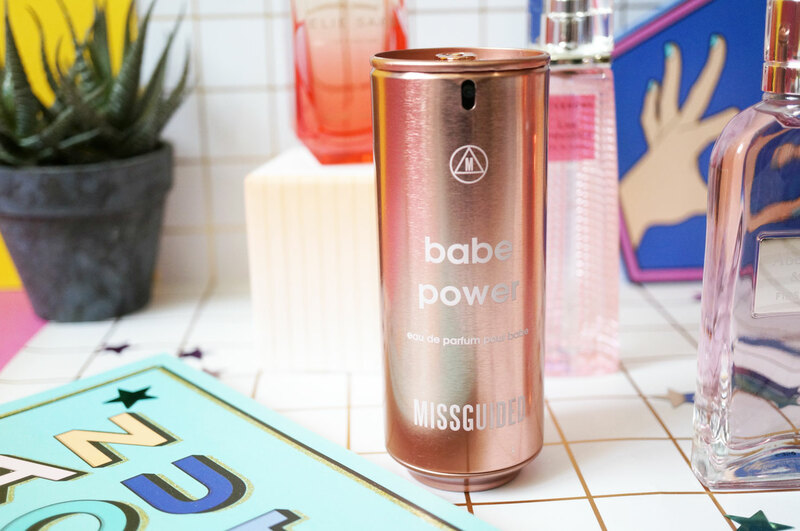 Next we have MissGuided Babe Power EDP (£25.00 for 80ml at Superdrug) – I feel like this fragrance is quite the opposite of the above Garden Lilies which is quite delicate and nuanced. Babe Power is just as confident and in-your-face as you’d expect. This is MissGuided’s first scent, and it’s the perfect embodiment of the MissGuided brand – designed to evoke a feeling of strength, confidence and femininity. Top Notes: Grapefruit Zest, Sour Cherry, Pink Pepper, Crisp Apple, Pineapple and Rhubarb. Heart Notes: Orange Blossom, Peony and Jasmine. Base Notes: Vanilla, Candy Floss, Sensual Musk, Amber Crystals. Now on to the most affordable of the bunch, & Other Stories Crinoline Violet (£19.00 for 50ml at Other Stories Stores) – yes this is technically a body fragrance, but I wanted to include it anyway as it’s such a lovely scent. Crinoline Violet is one of two new body fragrances in the popular Cotton Care range. It caresses the skin with it’s soft gentle touch, infused with hints of Violet for a dreamy Cotton scent – this fragrance is calm, kind and easy-going. Next I have a brand you don’t really hear of that often when it comes to fragrance – Abercrombie & Fitch first Instinct for Women (£50.00 for 50ml at Debenhams) – First Instinct was inspired by the first moment of attraction, when two people’s worlds collide and a spark is ignited. It is the fragrant interpretation of that exciting first glance and initial connection. First Instinct for Women is a very feminine scent, that’s fruity, floral and fun. It’s both sweet and juicy and perfect for wearing both day and evening. Heart Notes: Butterfly Orchid and Water Lily. Base Notes: Warm Amber, Tonka and Musk. And lastly, not a fragrance to be overlooked, Hollister Wave 2 (£32.00 for 50ml at Superdrug) – this is a gorgeous summery scent inspired by the Californian skies – it’s warm, free-spirited, fun and exciting. This sun-kissed creation entices you from the first impression with sunlit Peach, refreshing Coconut Water and sparkling Mandarin. Exotic Tiare Flower, Water Lily and Pink Freesia float in the air with a dreamy and addictive trail of White Sands, Driftwood and Vanilla Orchid. In my opinion this is definitely must-try scent. Top Notes: Mandarin Orange, Coconut Nectar and Peach. Heart Note: Water Lily, Pink Freesia and Tiare Flower. Base Notes: Driftwood, Sand and Orchid.